I don’t know if it’s because Caterpillar is about to begin his first year at full time school or just because I’ve always been a bit of geek for back to school shopping but I feel really excited about September. I still have fond memories of shopping trips with my parents at the end of the holidays where I got to pick a shiny new bag or fresh stationery. Yeah…definitely a geek. Anyway, back to school time is upon us and since I’m about to officially begin my role as a school mum I’ve decided to share some of my favourite brands and back to school products. I’m including both big and small brands and items for a variety of ages. I’ve also included lots of these products in a back to school giveaway bundle so see the end of this post for the details. Nothing ruins the effect of brand new school uniform than your child’s name scrawled in Sharpie on the label. My handwriting is particularly poor so would barely be legible to Caterpillar’s teacher. I remember the boring sew-in white name label strips from my stint as a primary school kid in the late 80s (that long ago? Really?) but, like everything, kids these days can be much more individual. 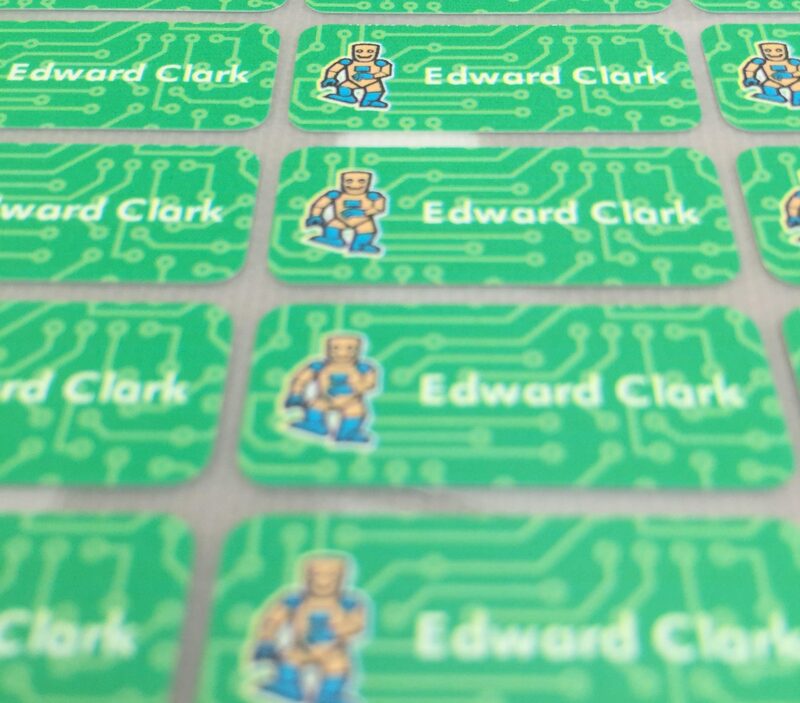 These adorable iron-on labels from My Nametags come in a host of different colours and themes and are so easy to adhere. I chose these cute green robot ones for Caterpillar but there are plenty of characters to choose from; you can either add your child’s name to the existing designs or completely design your own from scratch. Each set comes with 56 labels and several sheets of the ironing paper so one sheet of labels is likely to last you longer than a single school year. You can choose between iron-on and stickers (the former for clothing and the latter for lunch boxes, drinks bottles etc). A great way to keep your kids clothes and possessions safe and make your little ones feel special on the first day of school. I’m quietly devastated to find out that Caterpillar doesn’t need to provide his own stationery items until high school as I was really looking forward to indulging my stationery obsession through him. On the plus side there are still some items he can choose himself. 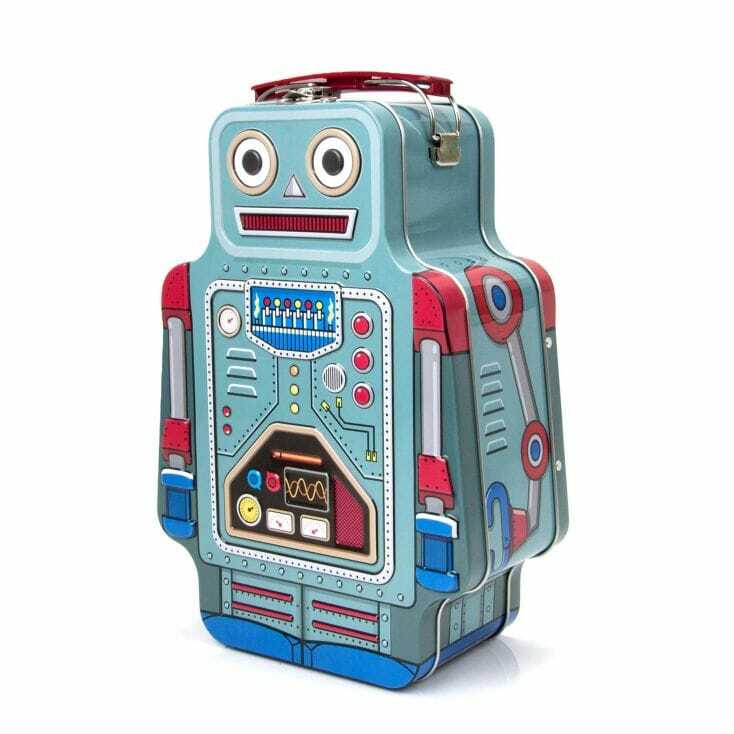 Caterpillar loves robots so I was really excited to find this robot lunch box from Find Me A Gift. It’s just big enough for a young child’s lunch without being enormous or bulky. It’s really sturdy with beautiful colours & design and a great little carry handle. It’s pretty unique too so I don’t think many other children from his class will have anything similar (helpful for speedy lunchtime identification!) and I love the more traditional feel of having a tin instead of the modern fabric covered boxes or bags. Shop Find Me A Gift’s full back to school range here. The way our weather is these days there’s quite a strong chance we’ll still need to slather suncream on our kids before packing them off to school each day even in September. I’ve just discovered the brand Childs Farm who specialise in sun protection, moisturiser and hygiene products specifically designed for children. I think it’s really important to use products designed for kids as their skin is so different to ours (does anyone else stroke their child’s lovely soft skin and wonder what on earth happened to their own?). We’ve been trying out Childs Farm’s SPF 50 and it’s really nice to use, works really well and is absorbed quickly (which is perfect for kids as we all know how tricky it is to get sun protection on them). Caterpillar also loves their grapefruit & organic tea hand wash, again a really important product for when your child is off to mix with their fellow germ monsters at school! It’s a gorgeous fresh scent and leaves your hands really soft. Lastly, we’re looking forward to trying their 3 in 1 Swim Wash when he restarts his lessons in a few weeks’ time, I’ve never before seen a wash product specifically for taking care of skin after chlorine exposure so I’m curious to check it out. Again something new compared to when I was at school; kids now need to provide their own water bottle (I think we just had water fountains which, granted, seem pretty gross in hindsight!). 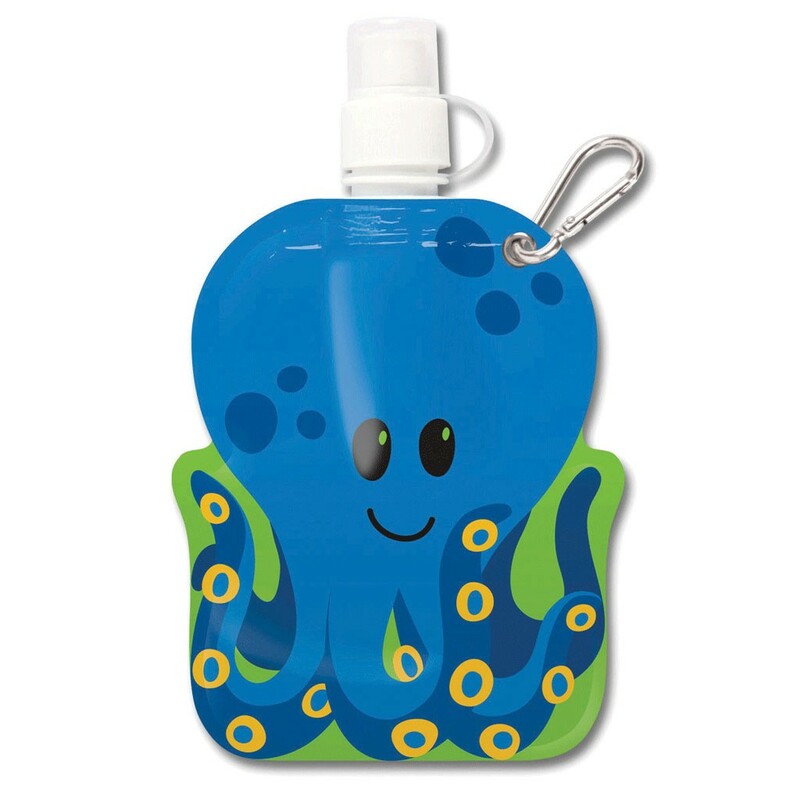 This super cute Octopus Little Squirts drinks bottle from What2Buy4Kids is not only a really sweet design but also a wonderful space saver as it goes completely flat when empty and will fit perfectly in Caterpillar’s book bag. If you have older children starting high school this year then good quality diaries and notebooks are going to be a must. TOAD Diaries offer such a massive range of both, in many layouts and designs, so they’ll be something to suit everyone. 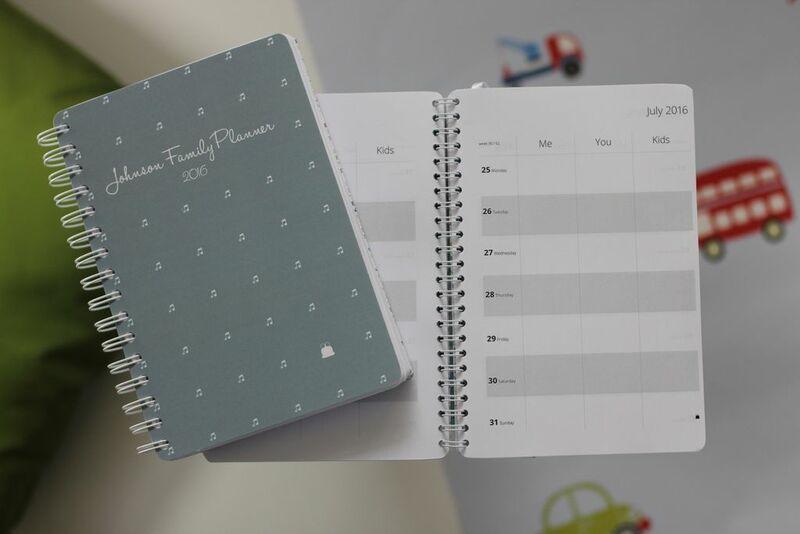 These family planners are perfect for busy households, while their week views and notepads are a sleek and stylish option for older kids. What I really love is how flexible the design process is so you can end up with exactly what you want, right down to the colours. If your little ones are now big ones and going off to uni this year then the homewares sections in Wilkos & Primark are brilliant. Both are so reasonably priced and their products are so modern and stylish. Wandering round the shops lately I’ve been feeling quite jealous of these bright, young things off to furnish their dorm rooms. 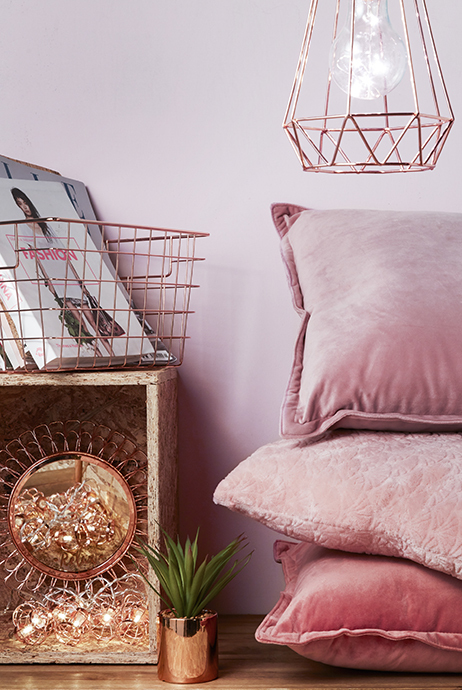 I’m completely in love with Primark’s rose gold homewares collection, especially the mirrors, fairy lights and wire storage baskets. 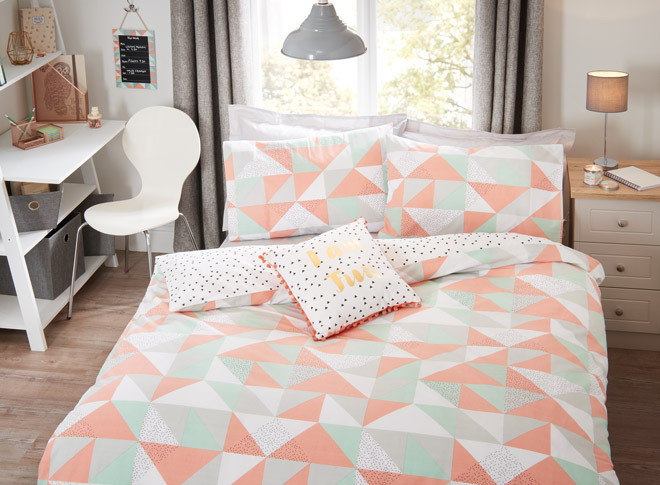 Equally stylish is Wilko’s bedding and soft furnishings range for new students. The whimsical colours and geometric patterns are both modern and cozy. 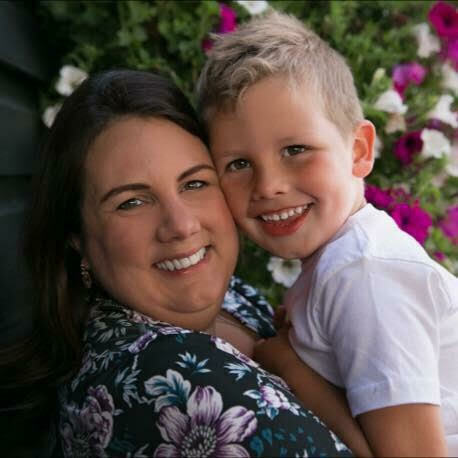 If you love photos and really enjoy personalising your children’s possessions with your favourite family snaps then Bags Of Love is a brilliant website. From books & homewares to clothing & bags, it’s hard to think of an item that Bags Of Love can’t personalise. 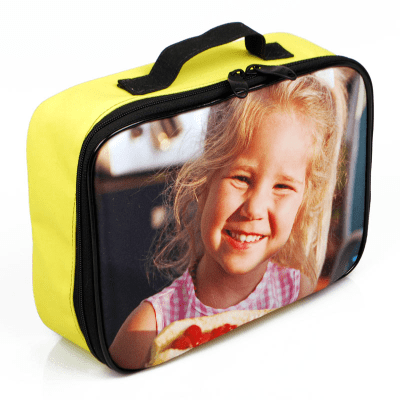 I love these photo clocks & beanbags but if we’re talking specifically back to school they offer so many options – lunchboxes, bags, pencil cases, notebooks, water bottles and more. You can find their full back to school range here. I don’t know what it is I adore about stationery but it’s been a lifelong obsession. Great stationery covers all price points. For the slightly higher end, I love Paperchase – their back to school range is so unique and adorable, as are their more adult products. For a much cheaper alternative, I’m a big fan of The Works; they have a really large range and everything is so reasonably priced. I’m offering one lucky reader the chance to win a bundle of back to school goodies worth over £100, including; £50 voucher for Bags of Love, £20 voucher for TOAD Diaries, ‘Lunch Bot’ Robot Lunch Box, set of 56 colour, iron-on personalised name labels and an Octopus Little Squirt drinks bottle. Enter below for your chance to win the lot! No matter hold old your kids are, I hope your back to school period goes smoothly. Disclosure: This is a collaborative post. Some of these items were recieved in exchange for review. Words & opinions are all my own.